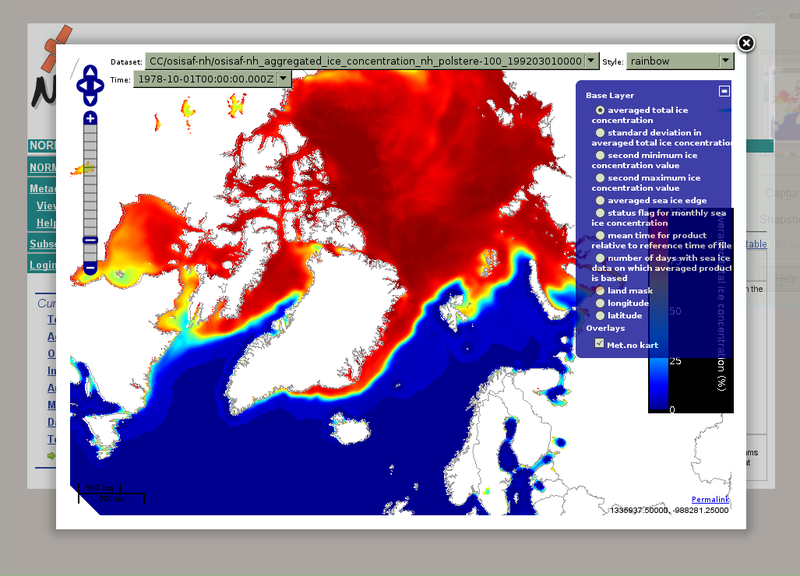 The NORwegian Satellite Earth Observation Database for MArine and Polar Research is a 6 year project. It is funded by the Norwegian Research Council (NRC) under the Infrastructure programme (read NRC article about NORMAP). The NORMAP project started 1 September 2010 and aims at securing sustainability beyond the 6 year period funded by NRC. To facilitate easy access to the remote sensing products for scientists. NORMAP provides access only to remote sensing data taken over the Arctic (north of 55N).